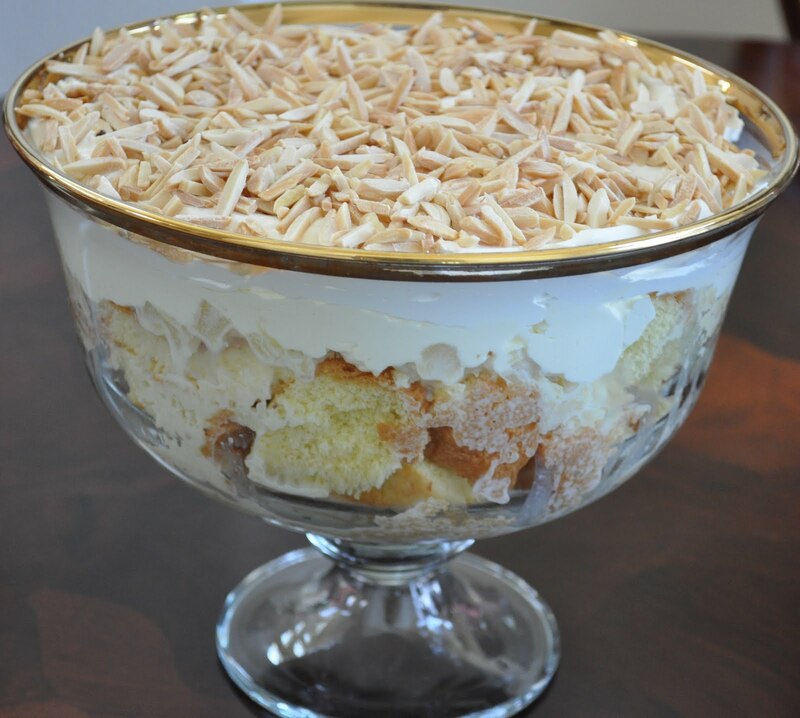 Very delicious and well moist trifle cake, the best part are the toasted slivered almonds. Heat oven to 350 degrees. On high speed beat eggs and sugar until light and fluffy. Add sifted flour and mix well on slow speed. Transfer the cake batter onto well greased baking pan . Bake for about 15-20 minutes depending on your oven.let the cake to cool down. Cream:In a medium bowl beat together cream cheese with powdered sugar. Add egg.beat again. In a separate bowl combine condensed milk,crushed pineapples(with juice),and rum.mix well. That looks super yummy! !PS: I gave you an award on my blog!! Check it out. Thank you so much for the recipe; that delicious pineapple cake is my favorite now!! !